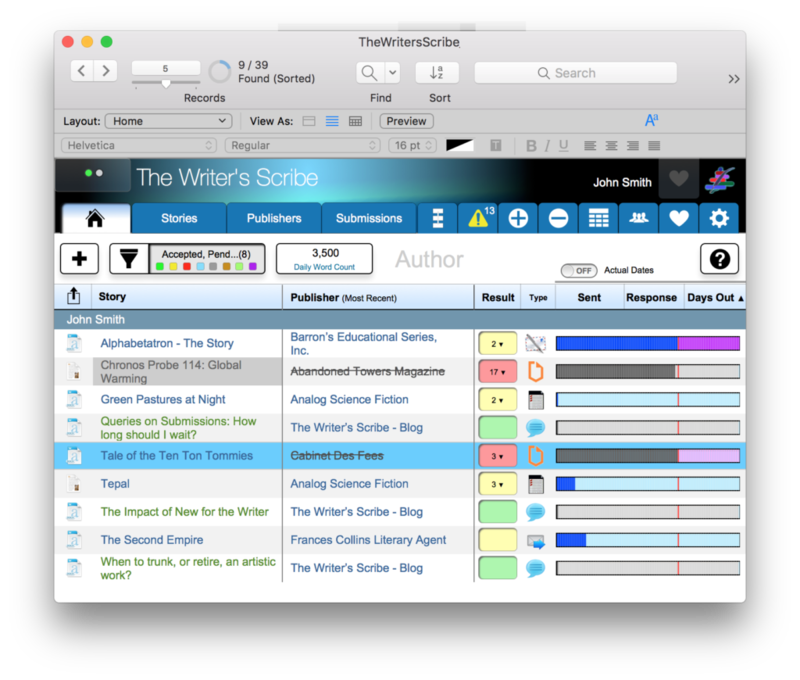 The latest version of The Writer’s Scribe has been released and is available for download. Comments Off on New Version Soon? Version 6.2 has been released. Please see the README file for full details on the changes. I received feedback from some customers regarding problems with the upgrade. I fixed these. You should have the full functionality of the original 5.2 version in terms of using the Scorecard and the Home Details screen. This is still a free upgrade for all 5.x and later customers. Comments Off on Version 6.2 released! I have received support requests regarding having difficulty with the license activation procedure for version 6.x. I put out a minor update of the application to address this issue. The Licenses screen now supports using an Import License button or a drag and drop target to apply a license file to the application. Once selected with either the button or the drag and drop action, a license will be added, a contact for the user that is private will be added, and that contact correctly associated or connected to the license. This saves work compared to entering this information manually. You may still do the activation manually. This addition is intended for new installations where a registration name and key have not been entered, or for adding multiple licenses in a multi-user installation. Please see the website for the updated installation instructions: Update Instructions. If you have any difficulties, please contact support and we will address any issues. Some may have noticed, but the manual disappeared with version 6.0, but it is not forgotten. It has been replaced by the contextual help, which applies to all 14 supported languages. 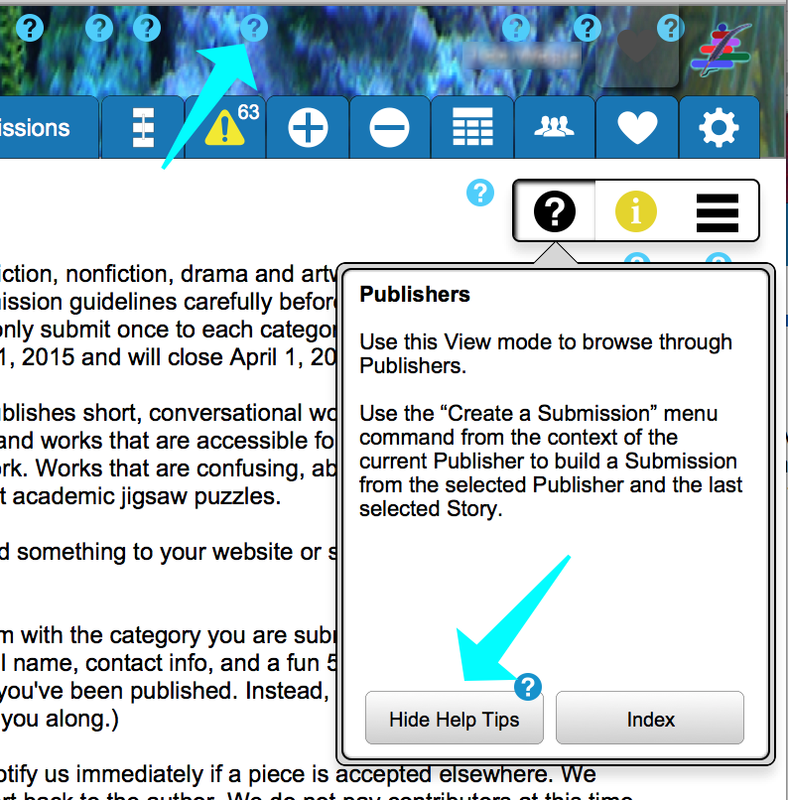 Click on the Help button to view a popover that describes the purpose and use of each screen. At the bottom of this popover are two buttons with one labeled “Show Help Tips”. When clicked, it enables small blue help buttons throughout the entire application that may be clicked to displayed popovers describing a particular feature. Click the button again to disable. Use the Index button to view all Help topics, which includes the ability to jump to that page and show that help popover in context. Here is a picture of this feature. Comments Off on Quick Tip – Help! In 6.0, we introduced the concept of view modes in the application. This applies to most of the tabs, presenting the information in the format or layout that is best suited to your immediate needs. 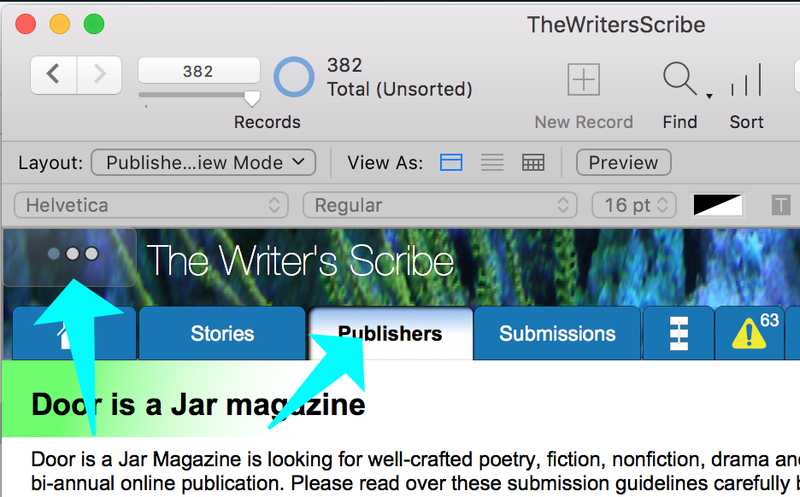 For example, using the Publisher tab, you may see that record in a View mode, an Edit mode, or a List mode. Each is best suited to a different use, for example View mode is good for browsing through publishers, the Edit mode for entering new records or editing existing records, and List mode for locating a publisher in a long list. To switch modes, you may click in one of the two locations on the screen to switch to a different mode. The button pad in the top left allows you to directly jump to the desired mode. Clicking repeatedly on the main tab will cycle you through the modes. Here is an illustration of a screen in View mode, click where indicated by the arrows to navigate to the other view modes. This release restores support for iOS. It also addresses issues for multi-user support, so it will work well on a Server for multiple users. The Sessions dialog has been updated extensively to allow tracking of users to sessions and enabling Admin. Changes were also made to speed up the initial login, especially under iOS. The next stage of the multi-user beta testing will make the product available to a limited number of users via a hosting service over the Internet. Please contact support if you are interested in participating in this phase of development. Comments Off on Version 6.1 Released! Comments Off on Version 6.0 Released! Comments Off on Version 5.2 released!